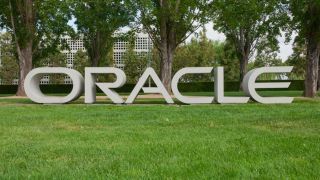 If the Windows XP migration was not bad enough, companies face another support deadline for Oracle E-Business Suite 11, with many failing to upgrade. Oracle will end payroll regulatory updates for the US, UK, Canada and Australia by April 6, 2015, less than a year away. The company will, however, provide Sustaining Support for E-Business Suite 11.5.10 up to December 2015. A third of companies using Oracle E-Business Suite have not upgraded from the soon-to-be-retired version 11 to the still-supported and developed version 12, and some of these even plan to continue using the outdated release past the deadline, according to the UK Oracle User Group (UKOUG). David Warburton-Broadhurst, chairman of UKOUG, said that some firms are waiting to see what happens with Oracle Fusion and the cloud before making a decision. Others plan to switch to version 12 over the coming year. The slow upgrades from risky Windows XP, despite Microsoft's frequent advertising of the deadline, has left some organisations paying millions for extended support. Likewise, those who decide to stay with Oracle E-Business Suite 11 will be forced to pay for extended or third-party support costs. However, third-party support may be under question, thanks to Oracle's successful lawsuit against Rimini. Costs are the biggest obstacle for business upgrades, with Original Software citing average costs of between $5 million (£3 million, AU$5.4 million) and $10 million (£6 million, AU$10.8 million) for an Oracle upgrade in a large organisation. However, a last-minute rush of Windows XP upgrades occurred in the first quarter of this year, helping the ailing PC industry. We can likely expect a similar last-minute migration boost for Oracle E-Business Suite 11.